Global healthcare leader Sanofi had a new diabetes product in pre-launch that offered significant potential health improvement for patients. Sanofi wanted healthcare providers to reevaluate their approach to managing patients with type 2 diabetes (T2DM) uncontrolled on their current medication and consider a new prescription paradigm. That was the mission for the disease awareness booth when Sanofi approached Freeman. To gain attention and create buzz on the show floor, we designed an exhibit that supported the marketing campaign and messaging in a face-to-face environment. Using large backlit fabric graphics, an animated LED wall, and overhead signage with a call to action — “Take the Glycemic Challenge” — the design piqued curiosity to learn more. Another key component included a SnapApp photo area that captured pictures of attendees in mountain-climbing gear, reinforcing the Glycemic Explorer visuals. The photos were sent post show via email with a reminder to check out additional info on the website. Everything in the exhibit angled toward an important call to action: Take the Glycemic Challenge. The Glycemic Challenge was an educational interaction designed to raise awareness of alternative treatments for patients with T2DM. Badge scanning and customized survey questions were integrated to provide enhanced data and metrics in real time. With stimulating graphics and animation, health care providers could engage with Sanofi representatives and discuss the unmet need in an engaging atmosphere. The hard work paid off with thousands of leads per show, plus the decision to exhibit five more times than planned during the launch year. The best part? 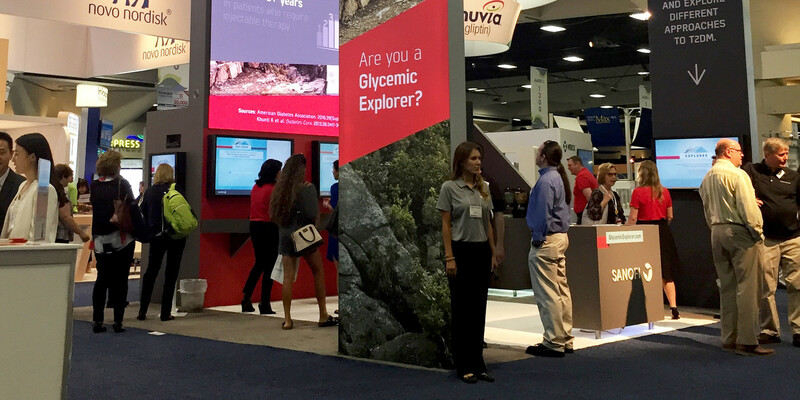 With all the interest in the Sanofi Glycemic Explorer experience, the message about a potential solution for T2DM management spread, raising awareness among health care providers and potentially improving the lives of many thousands more. 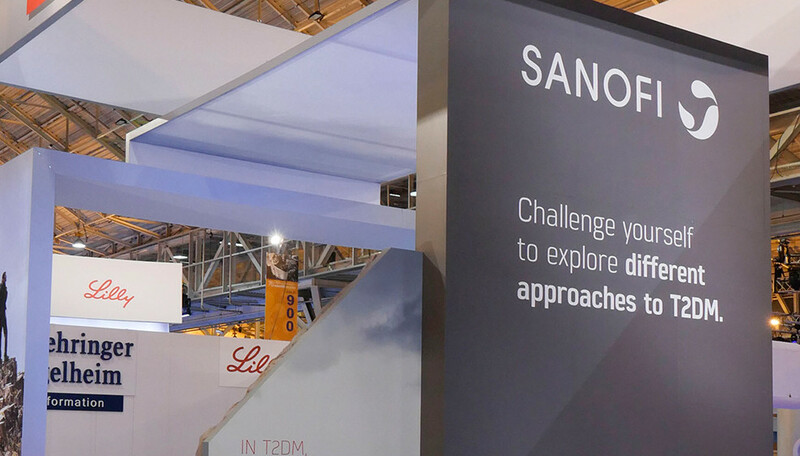 In fact, a whopping 83 percent of attendees who took the Glycemic Challenge opted in to receive more information from Sanofi.